As soon as I moved to Cornwall I knew that the way I coached was going to change. I felt inspired by the rugged landscape and with every trip to the beach or cliff top walk I found new metaphors in nature that taught me more about myself than years in psychology and life coaching training ever had. As my connection with nature increased, my relationship with myself improved. As I flooded my senses with a natural environment, my body mind and soul felt more nourished. I couldn't keep these revelations to myself, I had to share them with my coaching clients. 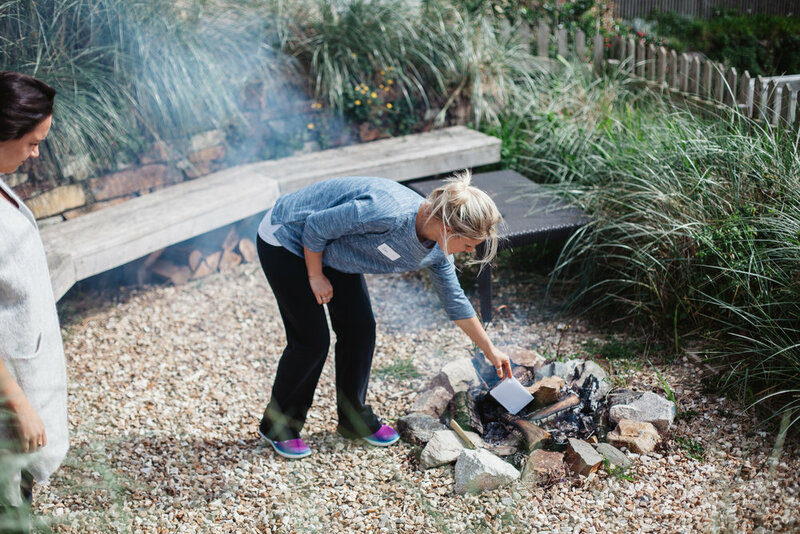 I began meeting my clients at the beach, lighting a fire, making a cup of tea and having our coaching conversations there. The conversations took on a different pace, they were slower but more poignant, they weren't as structured but there were greater breakthroughs. Having studied psychology for many years now, I'm not one to be satisfied with things just feeling good. My curious mind wants to know if theres any scientific research or evidence to support my intuition. Although my intuition is always the one to lead me in new directions, my intellect is in very close pursuit. As I started to research topics such as ecotherapy, nature therapy and nature bathing etc I become aware of the overwhelming amount of scientific research to support to my new coaching style, I felt confident to take it further. 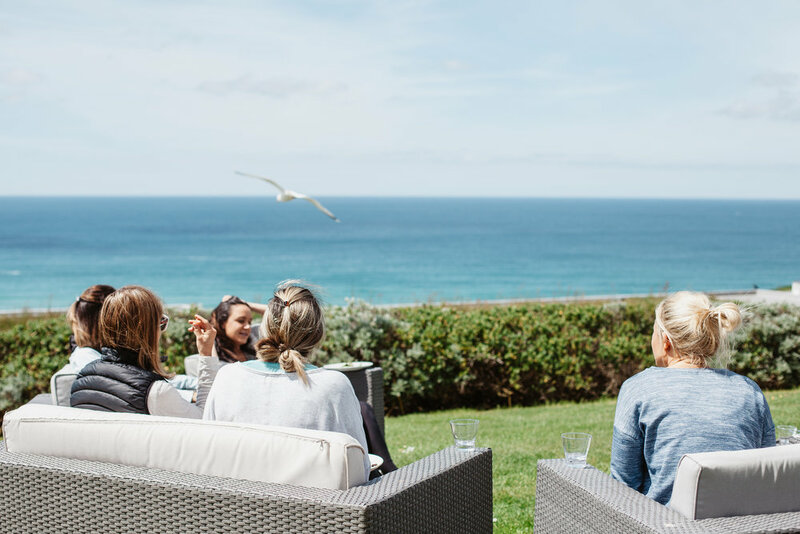 It wasn't long before I began dreaming of a retreat for women that took place in a beautiful location in nature and focused on unlocking the body as well as the mind. I met Helen, a local yoga teacher through my coaching practice and we instantly connected over our mutual passion to serve women. 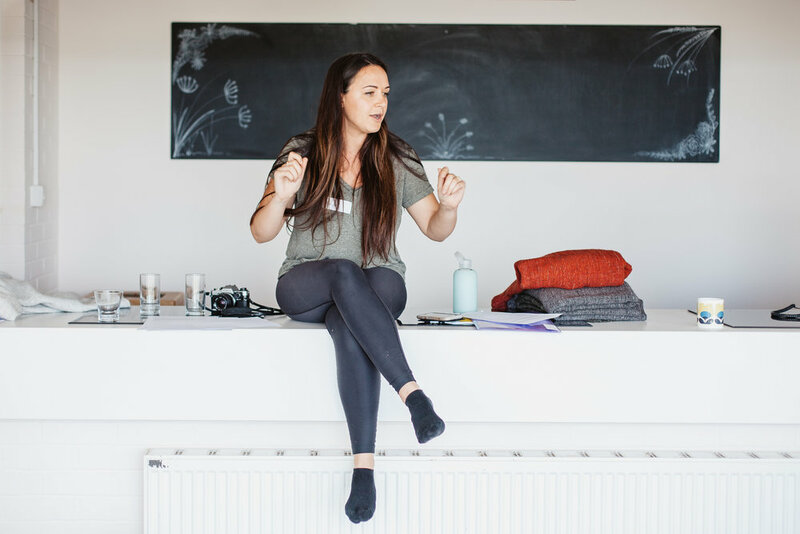 She had recently left her thriving Yoga practice in Austrailia and moved with her family to be closer to the Cornish coast. Her husband, Chris, was also a Coach so she was very familiar with the coaching ethos and practice. There was so much alignment between us both and we discovered that life coaching and yoga prooved to be a powerful partnership. We shared visions over multiple coffee dates and Ignite life retreats was born soon after. Ignite Life is our contribution to women's wellness. It's small but significant. Our mission is to support women to build a life by design. A life that gives them opportunity to live out their gifts and talents, connect with their purpose, build and maintain healthy relationships, achieve their goals and build a lifestyle that they don't need to escape from. I strongly believe that women are the worlds most untapped resource and that if every woman only knew the power that she had within her, then the world would be a very different place. Helen and I sat down for hours thinking through our first day retreat. There were so many directions that we could have taken it in, so many themes to cover but ultimately we wanted to work from the core and teach women simple tools that they could take away with them and keep using. The theme for our first retreat is an inward journey to 'knowing thyself'. It's been said that knowing yourself is better than any external accomplishment you will ever achieve. Inner peace comes from truly knowing your strengths and weaknesses and accepting yourself for who you are. Its about exploring in greater depth the who, what, why, how and where of your being. Many people who aren't happy with life in some way attempt to bring about a change by switching jobs, locations or even lovers. What these people don't realise is that it's their internal make up that dictates and creates their external reality and once the initial excitement of a change has worn off the unwanted feelings inevitably return. Sadly this leaves people job hopping for decades constantly in search of the right career or in some cases it leads to more damaging and distructive behaviour. Only through developing greater self-understanding on the essential areas that impact you will you then be able to make changes that will transform your life for good. Once you know your passions and fears, strengths and weaknesses, dreams and desires, eccentricities and idiosyncrasies, your likes and dislikes, and your tolerances and limitations are you in a position to strategise how you want your life to look and take meaningful steps towards it. We have carefully thought about creating a safe space on our retreats for people to explore all of these things in private. Theres no stage where our guests are made to stand and reveal their biggest fears and insecurities. 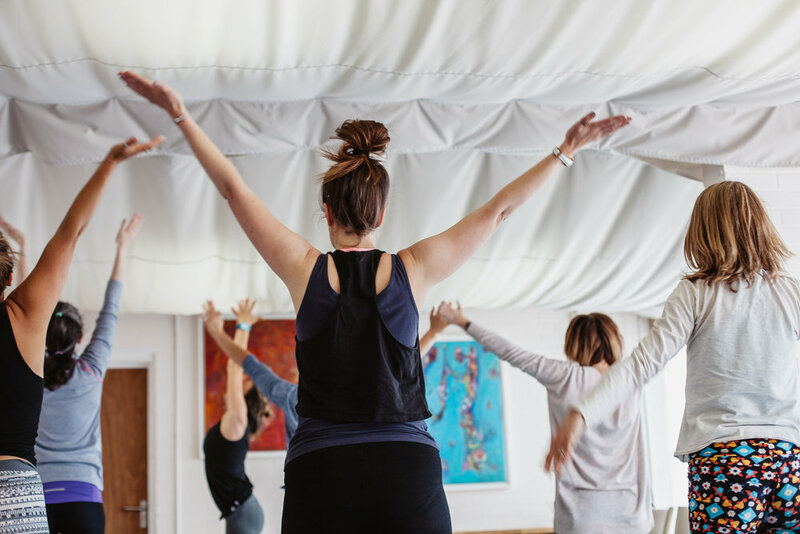 All of the exercises are lead in a way that participants don't need to reveal anything to anyone if they choose not to and the atmosphere is always non judgmental, supportive and completely accepting. The positive feedback from our last retreat is testimony to the powerful tools that we use on the day. It's my hope to make these retreats available to as many women as possible so that I can watch them flourish and thrive into the women they were created to be. If you're reading this and wondering whether you should come but still have some questions please feel free to drop me a line at hayley@theseajournal.com I promise that I don't bite and I absolutely LOVE hearing from followers of the blog.